The art and science of growing lettuce, when done well, yields beautiful looking and wonderful tasting lettuce. 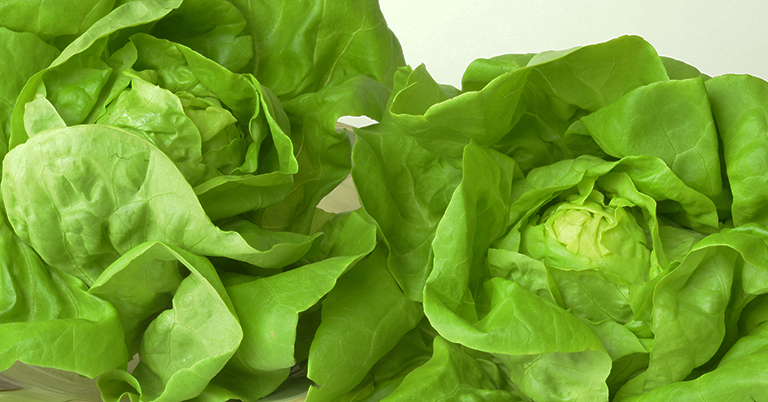 Suncrest™ Certified Growers (SCGs) primarily grow Bibb and Red Romaine lettuce. Bibb lettuce is very similar to Butter and Boston varieties, but the leaves are typically larger — excellent for salads as well as lettuce wraps. Our Red Romaine is a wonderfully attractive lettuce that makes for an exquisite Caesar salad. Chefs continually tell us that Suncrest's Bibb lettuce is tasty and flavorful. They have particularly noticed how clean it is without the roots which makes kitchen prep faster, easier, and cheaper. Plus, since the leaves are "Super-Hydrated" our lettuce lasts weeks in the cooler without losing its flavor and texture. This means more usable lettuce in each box, and less spoilage being thrown out each week. And all of this is also true for the lettuce consumers bring home to their kitchens.